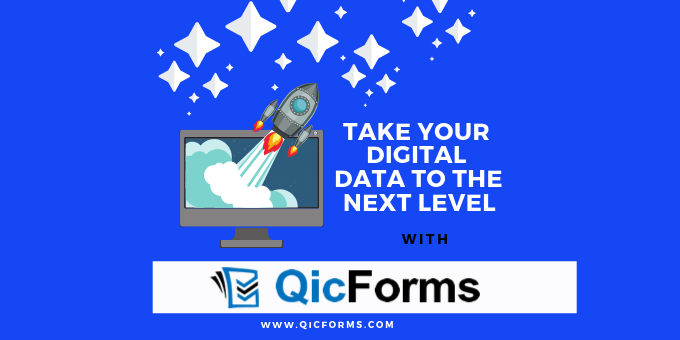 Why not transform your mundane paper forms into dynamic digital forms that your team will want to use with QicForms. I know what you’re thinking… Digital forms can’t be written by people with no technical knowledge. But nothing could be further from the truth. With our no code form builder, its only takes 3 easy steps to create your digital forms. Drag, drop and configure. Simply click on your desired field, then drag and drop it onto the preview screen (for instant visualisation.) Once you have all the fields you require, save your form for immediate deployment. We make data collection easy with 30+ advanced field components to choose from including Voice to Text, image annotations, automated GPS locations, digital signatures, calculation fields and much more. You are only limited by your imagination. Now meaningful data can be collected with ease. No more looking for pens and paper, trying to decipher illegible handwriting or “My dog ate it” excuses. Want to take your data to the next level? Then manipulate your form fields to work harder for you. QicForms allows Form users to collect some pretty awesome data, but now what happens? Does the data just come back to the web platform for archiving? How can we take the data to the next level? Workflows: Occur when rules or identifiers are set by the Account Owner or Manager from within the Web Management platform. Notifications can then be sent either by SMS and/or email notification, or a pop up message appears within the app when specific events occur. Form Completion Level: a specific form was completed. For example: a timesheet was completed by Jenny, so Payroll is notified. Account Level set at User Role or Group level when planned form submission targets have not been met. For example: Only 1 Safety Toolbox Prestart has been submitted this week. Once an event has occurred, a response can be sent to an individual or number of Users, everyone within a Group or Branch, or even an external User, notifying them of a required action. A form user can send a pdf copy of the completed form via email to themselves or cc in others. Download and email the completed form from the web platform. Share a copy of your blank template to the QicForms Community. Sharing allows stakeholders to achieve common goals, FASTER.